the below is what i wrote before i did a title research, seems like they did the same for the Xbox One S gears of war 4 edition, so now the question is WHY DOESNT PLAYSTATION DO IT!!! I wish themed consoles would actually be themed than just slapping a skin on. 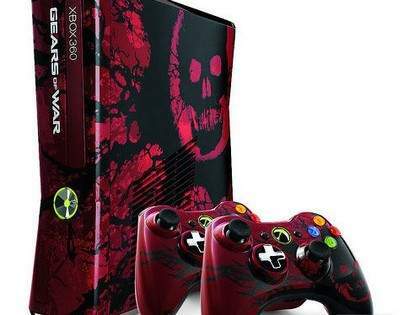 Unlike on the Xbox 360 Gears of War edition had a themed skin, and themed controller skin it also had themed sounds when you press the eject tray and even turn on sounds!! Also had in-game content for the game. also way larger HDD space. And the prices for a silly little skin slapped on version compared to normal edition is ridiculous, give us something really worth our while, and we might actually buy a Special Edition version. Not thought about a skin? I ended up getting the Halo 4 360 with blue lighting and different sounds etc, does make a nice touch. I agree would be nice to make a little more effort, even have the 20th anniversary PS4 and that seems like a wasted opportunity too, especially when the anniversary theme is available to everyone and the controller came out separate for purchase. 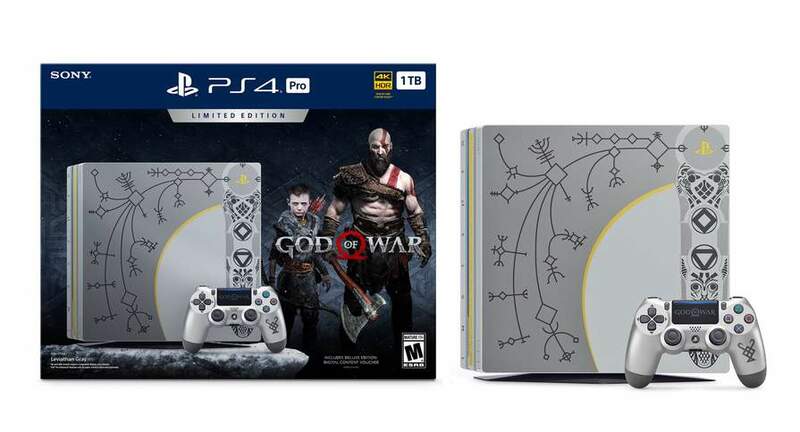 I find these special consoles are a cheap cash in - they don't attempt to do anything special... like someone said the 20th ps anniversary is prime example of where they could have gone all in with a proper special edition but didn't. 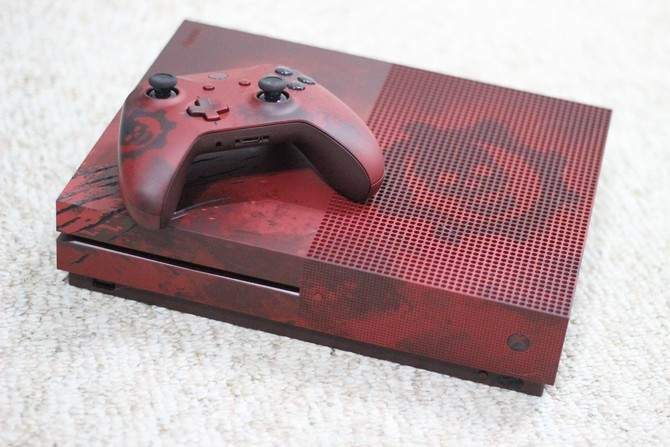 I know but that's what i'm talking about, i want more than a crummy skin, i want like @Sharp7 's xbox, lights, sounds etc even exclusive dashboard theme, know you, something that actually makes it a limited edition console, which makes you feel proud for owning it. I find these special consoles are a cheap cash in - they don't attempt to …I find these special consoles are a cheap cash in - they don't attempt to do anything special... like someone said the 20th ps anniversary is prime example of where they could have gone all in with a proper special edition but didn't. my point exactly, but it seems like Xbox do it, Playstation don't even attempt to, but wish they would do more you know. I know but that's what i'm talking about, i want more than a crummy skin, …I know but that's what i'm talking about, i want more than a crummy skin, i want like @Sharp7 's xbox, lights, sounds etc even exclusive dashboard theme, know you, something that actually makes it a limited edition console, which makes you feel proud for owning it. I ended up getting the Halo 4 360 with blue lighting and different sounds …I ended up getting the Halo 4 360 with blue lighting and different sounds etc, does make a nice touch.I agree would be nice to make a little more effort, even have the 20th anniversary PS4 and that seems like a wasted opportunity too, especially when the anniversary theme is available to everyone and the controller came out separate for purchase. The controller did not come out seperate. The 20th anniversary console has a unique controller. Also the console itself has subtle detailing in line with the original Playstation 1 which was a look and colour which fans love. They were never going to deviate from this. There were only 12,300 of these console made which seems pretty Special and a proper rare console unlike other "special editions"
Also the 20th anniversary theme was never exclusive for the 20th annviersary console. It was there so all Playstation owners could celebrate the 20th anniversary with a theme on their console. my point exactly, but it seems like Xbox do it, Playstation don't even …my point exactly, but it seems like Xbox do it, Playstation don't even attempt to, but wish they would do more you know. The controller did not come out seperate. The 20th anniversary console has …The controller did not come out seperate. The 20th anniversary console has a unique controller. Also the console itself has subtle detailing in line with the original Playstation 1 which was a look and colour which fans love. They were never going to deviate from this. There were only 12,300 of these console made which seems pretty Special and a proper rare console unlike other "special editions"Also the 20th anniversary theme was never exclusive for the 20th annviersary console. It was there so all Playstation owners could celebrate the 20th anniversary with a theme on their console. They did bring out a 20th anniversary controller, only difference seems to be the detail on the touch-pad mind. Detailing still classes as a skin in my mind, but each to their own of course! Not really even bashing their decision to do this either, it was always bound to sell. Just making a point given the subject matter that something like unique themes/content etc would be more welcome, especially given the rarity and cost of the unit. They did bring out a 20th anniversary controller, only difference seems to …They did bring out a 20th anniversary controller, only difference seems to be the detail on the touch-pad mind.Detailing still classes as a skin in my mind, but each to their own of course!Not really even bashing their decision to do this either, it was always bound to sell. Just making a point given the subject matter that something like unique themes/content etc would be more welcome, especially given the rarity and cost of the unit. Yes I know they bought a 20th anniversary controller seperately but it is not the same. The touchpad is not a skin. Have you ever seen a PS4 anniversay controller or in fact the console in the flesh? I think your point of view would change. I remember the 360 days of case modding. There were some absolutely brilliant mods. Leds added, eject sounds. i'm too lazy lol, i just wanna throw my money at them for making a good limited edition one. I own one. I would agree it deserves more praise than a special edition, and the detailing you suggest is more of an engraving I'd say. It was great to unbox but it didn't last too long beyond that, it's something I could have admired in a shop window the once happily but I didn't feel overwhelmed to have bought one in the end. Practicality also means it has been replaced with Pro. I own one. I would agree it deserves more praise than a special edition, …I own one. I would agree it deserves more praise than a special edition, and the detailing you suggest is more of an engraving I'd say. It was great to unbox but it didn't last too long beyond that, it's something I could have admired in a shop window the once happily but I didn't feel overwhelmed to have bought one in the end. Practicality also means it has been replaced with Pro. I bought a Pro console from Currys on Black Friday when it mis-priced, wasn't going to upgrade originally but boost mode and 4K Horizon have been welcome. I have kept the 20th anniversary console for now, I am in two minds whether to keep or sell it. Sony occasionally do it, I have the Destiny 1 PS4 console which I think a much nicer design than the standard console and agree it's something they should do more often.